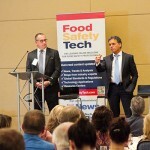 As Chicagoland food companies continue to innovate, grow, and sprout, a focus on food safety is paramount to their continued success. Food Safety. Two powerful words that hold the key to growth for food and beverage in the Chicago region (Chicagoland) in 2018. And when said differently, they can mean so many different things. Everyone eats. Is your food safe? Do you want to consume safe food? How do you manage the safety of your food? How long is my food safe (my mom calls and asks this all the time)? All good questions and something that can be terrifying to the thousands of local companies and millions of consumers in any given area. The Chicagoland community understands that availability of proper meals and nutrition can be an issue for certain areas, and we are tackling that as a community in other efforts. 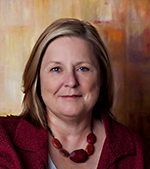 Food safety is impactful to the farmers (growers), manufacturers, and especially consumers. Think about when you walk into a grocery store. Every product you look at is mandated to have some type of food safety risk management plan. The consumers of today and tomorrow are demanding healthier, clean label, safe items. Farm-to-table is more than a trend; it’s a way of life. My belief is that food safety is “basics done well” and there are tens of thousands of professionals in Industry, academia and government working to make this happen. I try to draw the analogy that the food and beverage industry is a like an iceberg—we only really see the tip of that iceberg being the large national names that everyone recognizes. FDA has an estimated 125,000 registered facilities. This does not include facilities regulated by USDA and other unregistered facilities. Therefore, the food and beverage industry iceberg is actually mostly below the water line. It is estimated that 80% of all food companies have less than 100 employees. In my experience, I believe that number is closer to less than 50 employees. Chicagoland is filled with high-growth companies that are rapidly changing the industry. They have a unique product, it tastes great, and the packaging is amazing. They believe we should all buy their products! When working with these companies, I ask them: What is your pH? What is your water activity? What temperature do you heat your product to and for how long? Do you use preservatives? What is your shelf life? How are you keeping your records? 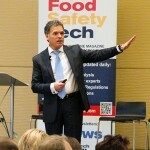 Do you know if your suppliers have safe food? DO YOU have a food safety plan? I have seen plenty of these talented people start to cry. There should be no fear of food safety, and once you sit down with companies and talk about a step-by-step “basics-done-well” plan, they realize that they can do this. We have strong innovative large, medium and small companies in the region. And the way they come together, through organizations like Chicagoland Food and Beverage Network, gives Chicagoland the competitive edge at being the food and beverage hub for the United States. But none of this can happen without food safety. For companies, it is simply a matter of telling your story and how you safely make your products. Sometimes companies have to make some changes and they must prepare proper paperwork. These steps are necessary to inform the regulators and the retail outlets who want to know that there are food safety plans in place and the products are safe. Many companies are moving toward innovative technologies to make food safer. We have companies using high pressure processing to help with shelf life and inactivation of pathogenic bacteria. Some are using chemistry. Some are using unique packaging. The great thing about the Chicagoland community is that we have access to experts in all of these fields that will help companies continue to grow safely. This includes incubators, marketing firms, scientists and international organizations like the IIT’s Institute for Food Safety and Health. 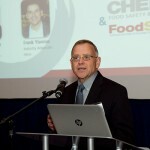 Chicagoland food and beverage companies are world leaders and will continue to be so as long as they start with food safety. Matthew Botos is the CEO and founder of ConnectFood. ConnectFood offers a step-by-step, “Do-It-Yourself” food safety plan generator to help companies comply with FSMA and On-Demand plan reviews from a national network of food experts. It is also a partner of the Chicagoland Food and Beverage Network, a cluster organization connecting the 4,500 food and beverage companies in the Chicago area.Botos is currently on the Food Safety and Preventive Controls Alliance (FSPCA) International Subcommittee. He is also one of few approved Train the Trainer instructors of the FSPCA Lead Instructor program launched in October 2015 and has taught more than 800 of the nation’s leading food safety experts.